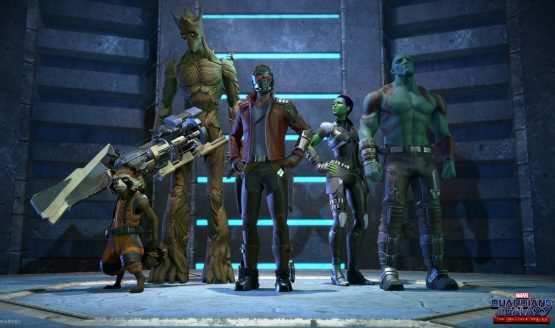 Marvel’s Guardians of the Galaxy: The Telltale Series is premiering digitally in spring 2017 on consoles, PC, and mobile devices, Telltale Games announced today. There will also be a Season Pass Disc released this year that includes the first episode of the season, as well as access to the remaining four episodes as they become available. Specific platforms for both the digital and retail versions will be announced later. 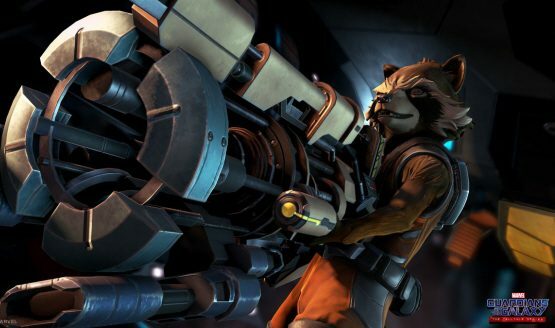 On Friday, March 10 at 6pm during PAX East in Boston, MA, Telltale and Marvel Games Creative Director Bill Rosemann will discuss the series. It will be livestreamed on Twitch. Then, on March 17 at 6:30pm PT at SXSW in Austin, TX, Telltale will be hosting a Crowd Play event for the first episode. Attendees will be able to control the story by using their mobile devices to help decide what happens next.